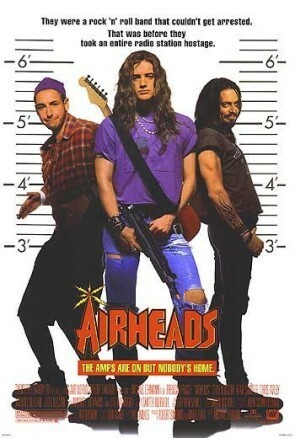 Airheads is a 1994 American heavy metal crime comedy film written by Rich Wilkes and directed by Michael Lehmann. It stars Brendan Fraser, Adam Sandler, and Steve Buscemi as a group of loser musicians called The Lone Rangers who take a radio station hostage, just so that their song would get played on the radio. Joe Mantegna plays the radio station's disc jockey and Michael McKean plays the station's manager.